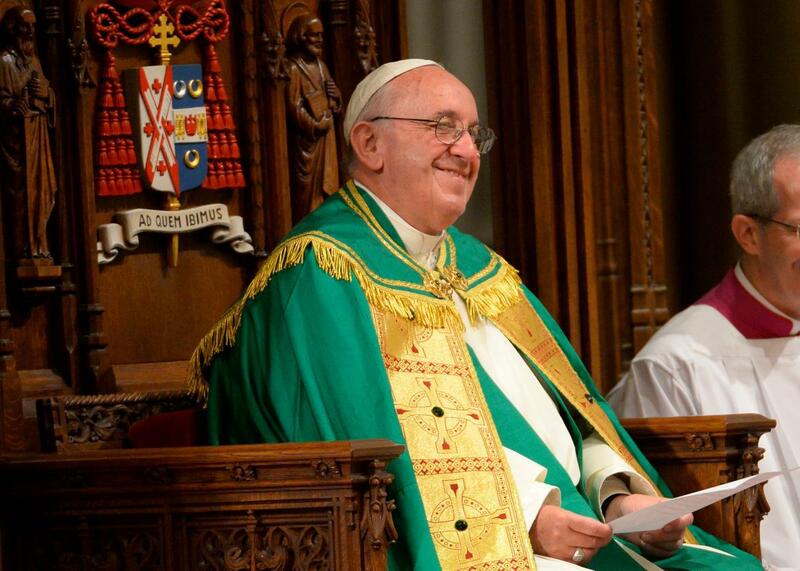 Pope Francis’s New York City visit St. Patrick’s mass roundup. Pope Francis presides over evening prayers at St. Patrick’s Cathedral in New York, September 24, 2015. On Thursday morning, the Pope wrapped up his wall-to-wall, two-day tour of the nation’s capital and headed up the New Jersey Turnpike (not literally, he flew) to New York City. 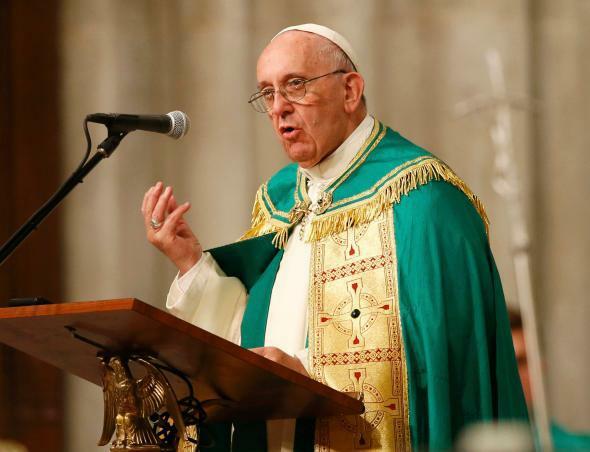 The Pope’s public schedule is light Thursday evening; Francis is leading a short processional down Fifth Avenue before holding an evening prayer at St. Patrick’s Cathedral. On Friday, the Pope will address the United Nations, visit the September 11 Memorial as part of a day that concludes with mass at Madison Square Garden. 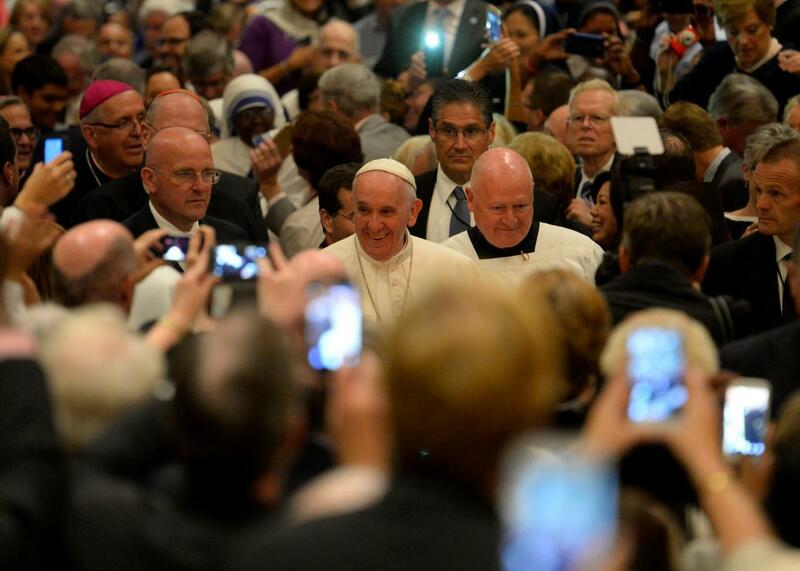 Here’s more on the Pope’s arrival and first moments in New York City. Pope Francis departs from St. Patrick’s Cathedral in New York, NY, Thursday September 24, 2015. 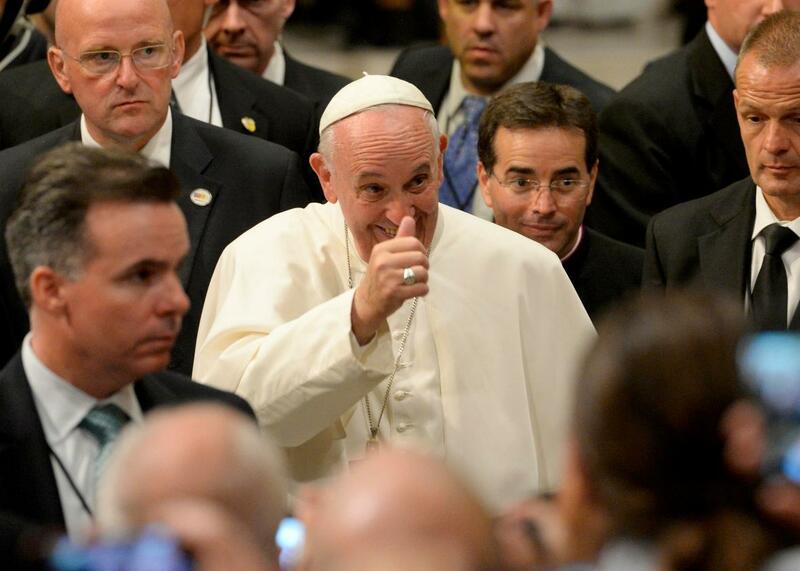 Pope Francis gives a thumbs up as he departs following The Evening Prayer (Vespers) at St. Patrick’s Cathedral in New York, September 24, 2015. 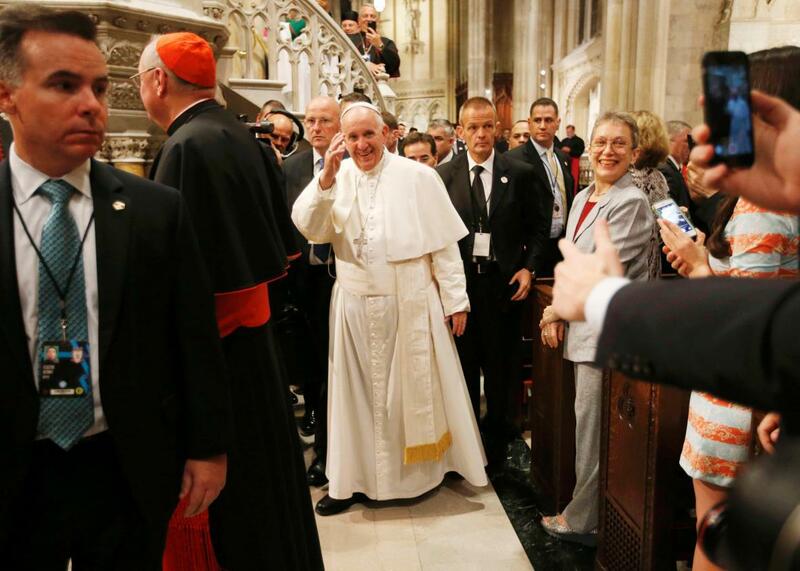 Pope Francis waves as he departs after presiding over evening prayers at St. Patrick’s Cathedral in New York, September 24, 2015. Pope Francis greets guests and poses for photos upon his arrival at Saint Patrick’s Cathedral on September 24, 2015 in New York City. 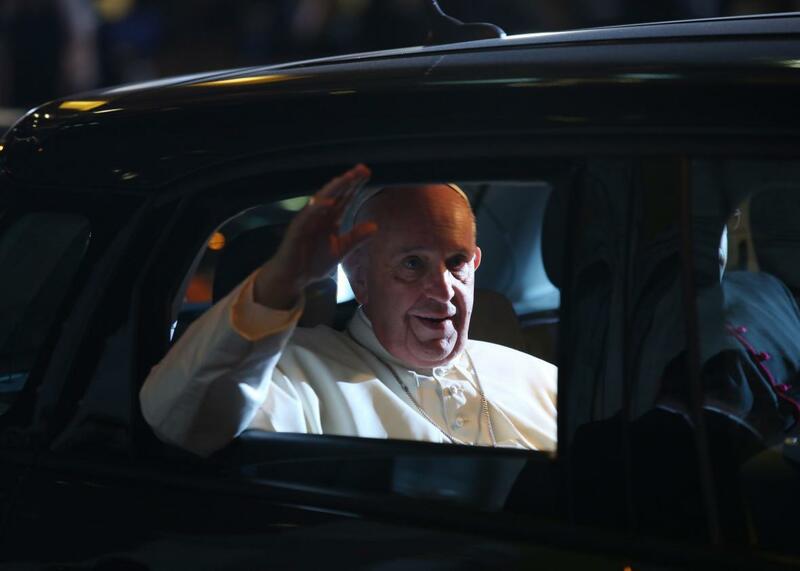 The pope is on a six-day visit to the U.S., with stops in Washington, New York City and Philadelphia. Pope Francis prepares to lead evening Vespers at Saint Patrick’s Cathedral on September 24, 2015 in New York City. The pope is on a six-day visit to the U.S., with stops in Washington, New York City and Philadelphia. 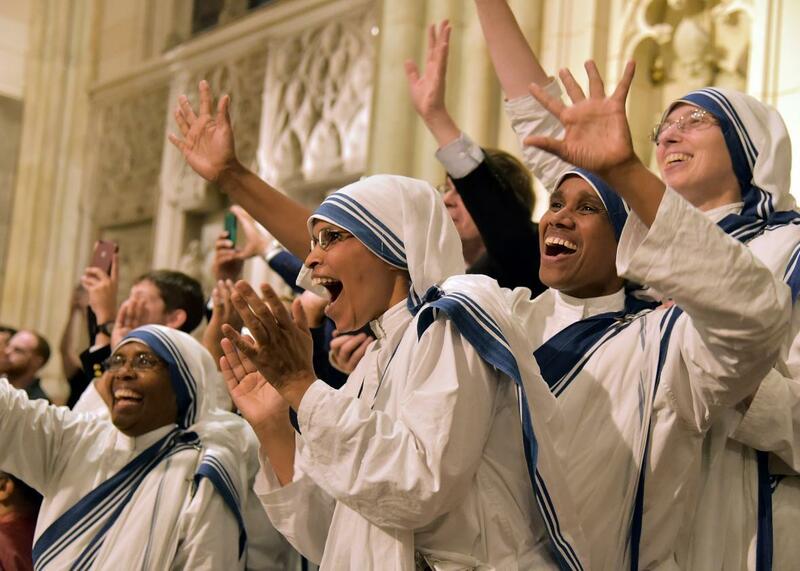 Nuns celebrate as they wait for the arrival of Pope Francis at St Patrick’s Cathedral in New York on September 24, 2015. 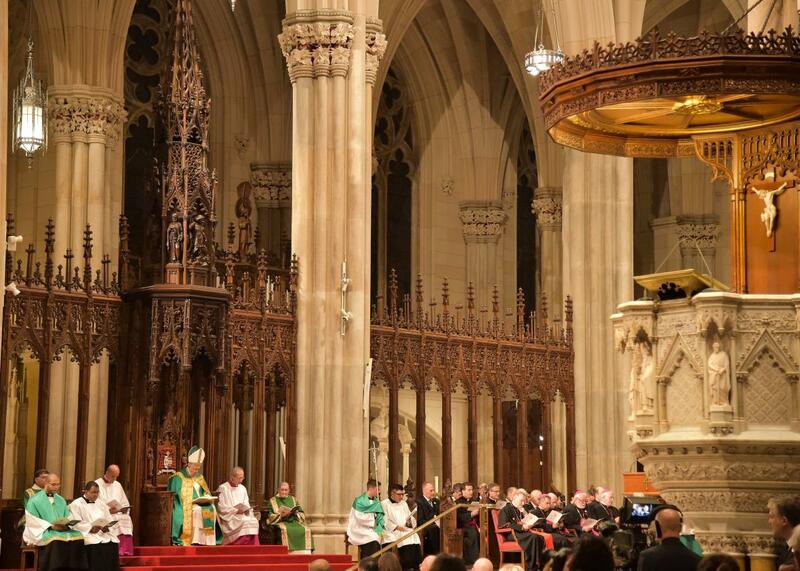 Pope Francis celebrates evening prayers at St. Patrick’s Cathedral in New York on September 24, 2015. 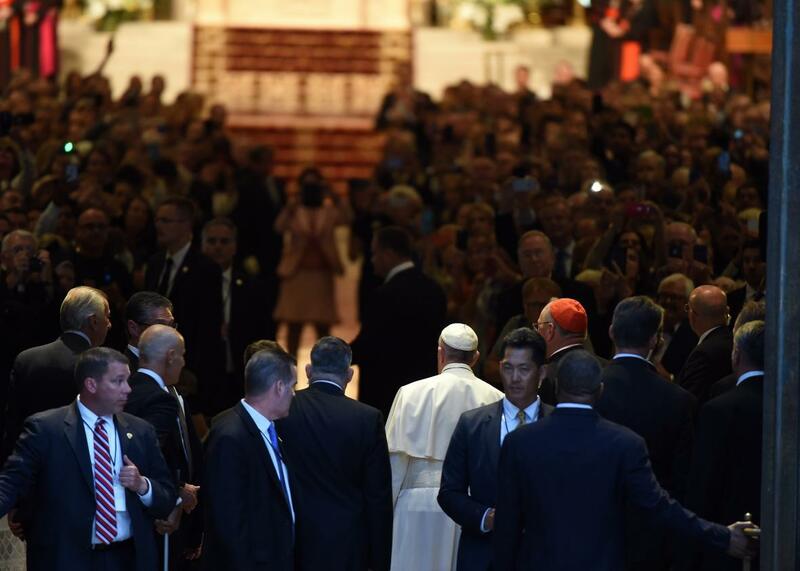 Pope Francis (C) arrives at St. Patrick’s Cathedral to lead evening prayers in New York on September 24, 2015. 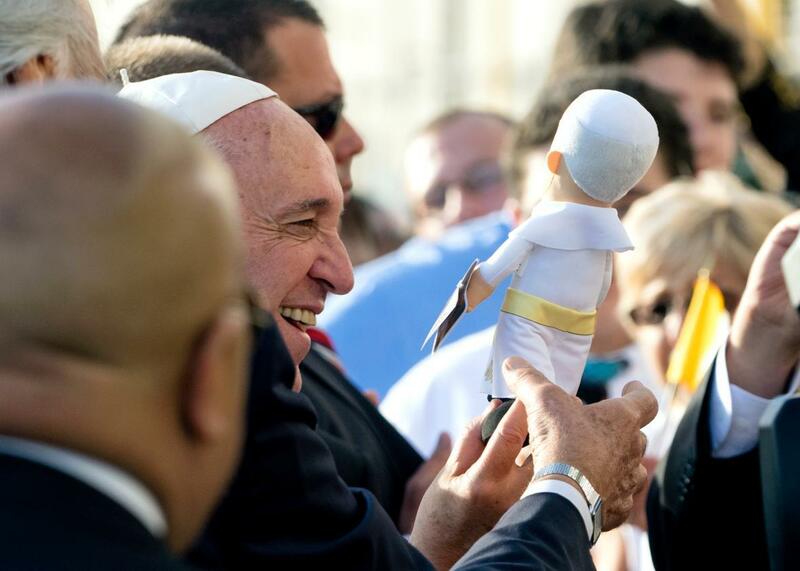 Pope Francis is given a gift during his arrival at John F. Kennedy International Airport September 24, 2015 in New York City. 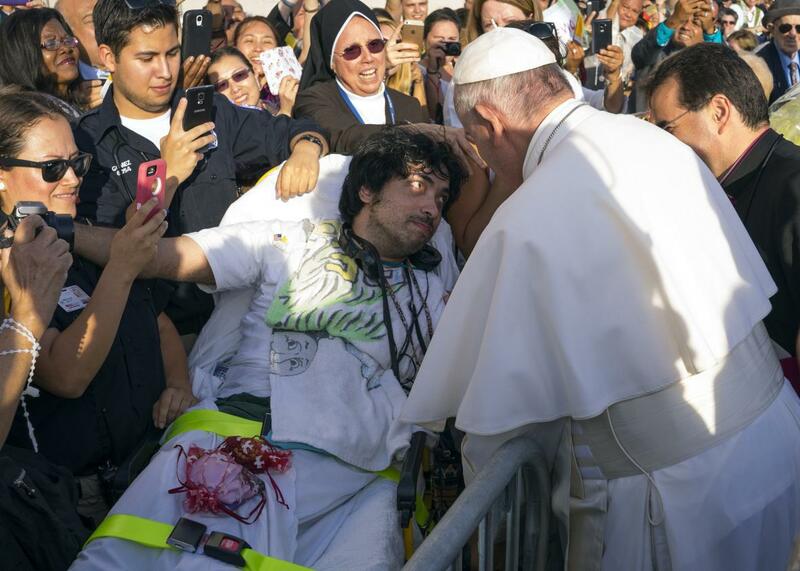 Pope Francis engages with the crowd, including Gerard Gubatan of Brooklyn, center left, after arriving at John F. Kennedy International Airport Thursday, Sept. 24, 2015, in New York. 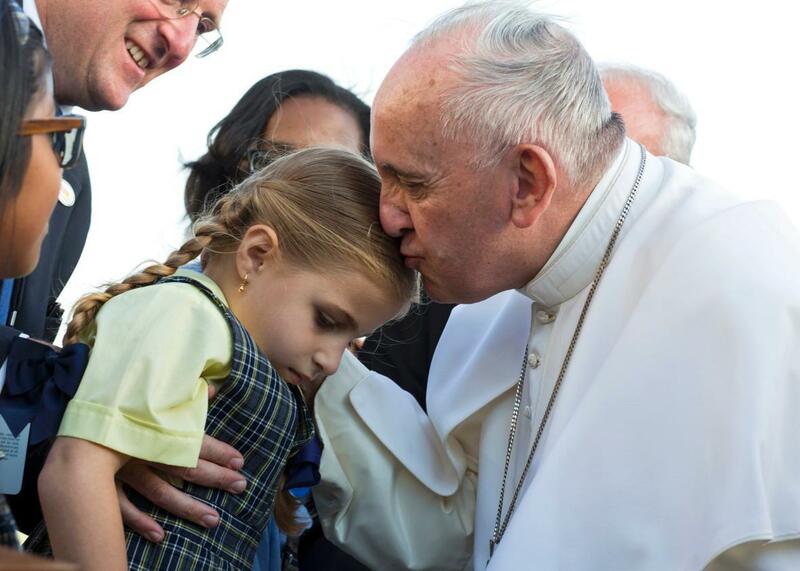 Pope Francis kisses Maria Teresa Heyer, a 1st grade student from Brooklyn, who together with other students gave the pope gifts as he arrived at the John F. Kennedy International Airport, Sept. 24, 2015, in New York. *This post has been updated with new information as it became available.